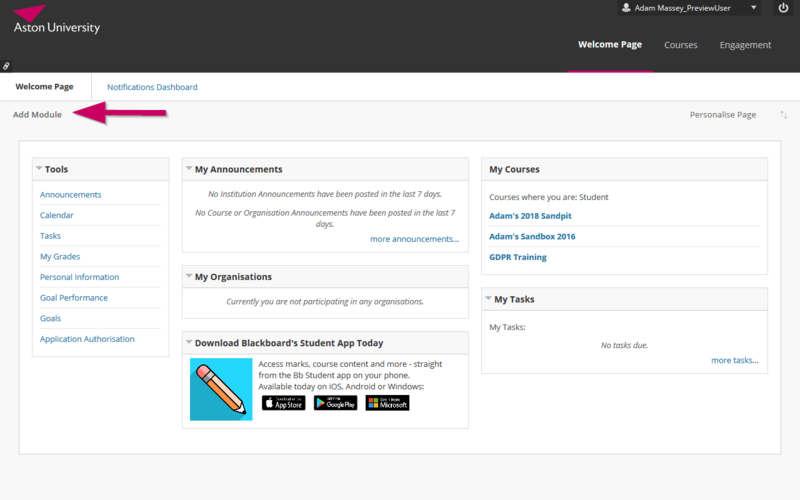 The My Media tool is accessed from your Blackboard Welcome page, but you’ll need to add the module before you can use it. The module will be added to the bottom of the right hand column on your Welcome Page. You can click and drag the title to position it where you want.